How can you take a negatively geared property and turn it into a positively geared property that generates excess cash flow and passive income? How to make a negatively geared property positively geared? 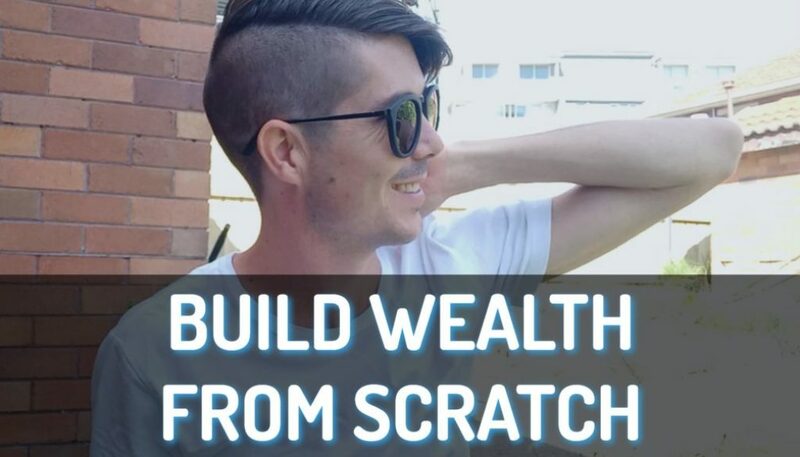 If you have a property that is losing you money every month, there are some things that you can do in order to generate a positive cash flow and passive income from that property and I want to share those things with you today. 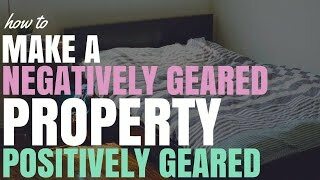 Hey, I’m Ryan from onproperty.com.au, helping you find and create positive cash flow properties. When it comes to investment property, if you have a property that is negatively geared or losing you money every single month, there are some things you can do in order to turn that from a negatively geared property into a positively geared or positive cash flow property. There are 2 main ways that you can convert from a negatively geared property to a positively geared property. One, you can reduce your expenses. And two, you can increase your income. There is a third section where you can reduce your tax or increase your tax refund but that kind of comes into reducing your expenses or increasing your income. So we’ll talk about that but we’re not going to give it it’s own section. Let’s first look at cutting expenses. A lot of people don’t realise that their property is negatively geared because they have too many expenses on that property and if they were to manage their expenses better, then they could have a positive cash flow property or a neutrally geared property that doesn’t cost them anything to run. The number one thing that you can do in order to move from a negative cash flow to a positive cash flow situation is to move from principal and interest to an interest-only loan. When you’re paying off the principal of your loan as well, your monthly loan repayments are so much higher than if you have just an interest-only loan. Now, obviously, there are pros and cons with principal and interest loans versus interest-only loans. But, by going interest-only, no, you’re not paying off the principal but it does reduce your expenses that you need to pay each month. And can quickly tip you from a negatively geared situation into a positive cash flow situation. So, it’s definitely something to explore, something to discuss with your mortgage broker or accountant. The second thing that you can do is actually get your interest rates reviewed and potentially lowered. We have extremely low interest rates at the moment. And if you signed up for your mortgage a few years ago, then you may be eligible to get a lower interest rate on your investment property. 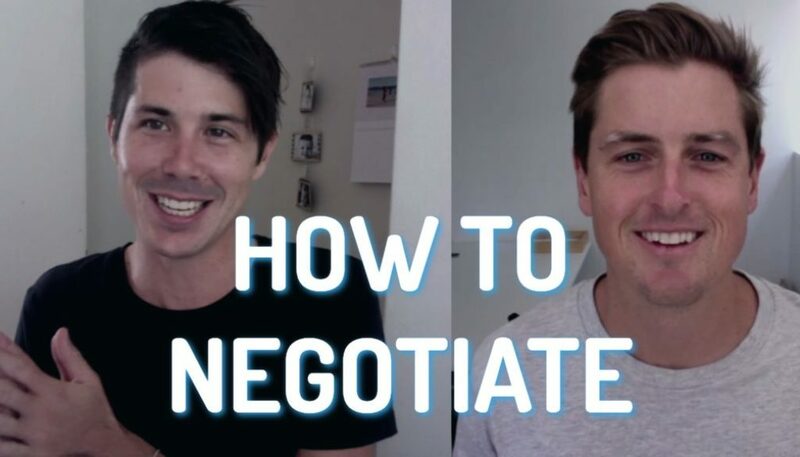 Especially if you own multiple different investment properties, this really gives you some negotiating power. Most people, when they purchase an investment property, just go directly to their bank in order to get the loan and they get whatever’s available. However, if you were to go and see a mortgage broker, that mortgage broker can look at over 30 different lenders, hundreds of different loan products and can source you not only the best interest rates but also lower fees, potentially even higher borrowing capacity. So it’s definitely something worth doing. Mortgage brokers offer a free service because they get paid a commission whenever they provide a new loan to a bank. If you need a broker and you don’t know where to go, you can check out my broker – Brad The Broker. Just go to onproperty.com.au/mortgage in order to see all of his details and request him to contact you if you want that sort of help. Just to let you know, I do get a referral fee from Brad if you end up using his services and you let him know you came from OnProperty. So, I really appreciate that. Some other things you can do to reduce your expenses are to shop the market for different rental managers. Often you can save rental manager fees, drop them down from 8% to 7% or 7% to 6% or 6.5%. And even though that small drop doesn’t sound like a lot, they can really add up each and every week. And an extra $10 or $20 a week might be all you need in order to generate a positive cash flow. You can also, if you want, review your insurances. However, you might save a bit there but I don’t think it’s going to have a massive impact there. Another big thing you can do that people are starting to do now is to get your tenant to pay the water rates. A lot of property owners are still paying their water rates. When really, if they have an individual meter for their property, they can be charging that to the tenants. Now, because water rates aren’t really something, as a tenant or a renter, you think about when you’re thinking about the weekly rent of a property, it generally doesn’t significantly affect how much a property is going to rent for per week. However, if we’re talking $300 a quarter in terms of water rates, that’s $100 a month or $25 a week, rough calculations, that you could be saving by getting your tenant to pay for water instead of paying for water yourself. So there are some of the major ways that you can reduce your expenses. So, try and convert your property from a negatively geared property into a positive cash flow property. The other thing that you can do is increase your income, and this means increasing the rents of your property. There are a variety of different ways to do that. But the first thing that you should do is assess your rent and determine whether or not your rent is at market rate at the moment. If your rent is not at market rate, then look towards moving that rent up to market rate into the future, whenever you can, when the lease expires or when it’s time to renew that lease. Now, a lot of people get scared about increasing the rent of their property because they’ve got good tenants in place and you hear about people who’ve lived in a property for 10 years and they’re paying $200 a week less than what the rental market demands. You need to know that you are providing a service to these people and market rent – it’s called market rent for a reason. Because if that person who live in your property was to go out into the broader market and to look for something else, they would need to pay that sort of price for the type of property that you have. So, by keeping your rents low, you can actually be doing yourself a disservice and missing out on a lot of money. And if you’re at market rent, you’re not asking for excessively above market or anything like that. Even if your tenant does move out, then you should be able to get another tenant in because you’re at market rate. Market rate is what the market will pay for your property. So, definitely something to look at and assess, “Is my property at market rate?” If it doesn’t look at increasing the rent on your property whenever you can. Other ways to increase rent is to add something of value to your property. This could potentially be done while there’s tenants in there or in between tenants. Things like adding air conditioning into a property can severely increase the rental income of the property. Up here on the Gold Coast, which is where I live, it’s very hot. So, if I’m looking at a property as a renter and I can see, well, the property has one aircon downstairs but no aircon upstairs, then I’m not willing to pay as much for that property as a property that has aircon on both floors. Now, if you’re in another area, it might be reverse cycle air conditioning. It could be central heating if you’re somewhere south like Tazmania or Melbourne. Someone might be willing to pay more for central heating around the house. You need to determine what of value can you put in your property in order to increase the rent. If you don’t know, if you have absolutely no idea, simply talk to your rental manager or talk to real estate agents in the area and say, “What can I put in this property that would increase the rental value of the property?” If you’re in a unit, you could potentially add a washer-dryer into a kitchen cabinet or somewhere within the unit so it’s self-contained, rather than a shared laundry. That can definitely increase the rental value of the property. Another you can do is do a slight renovation of the property. I’m talking fresh paint, fresh carpet or flooring in the property. You can do this quite cheaply nowadays and it amazes me how old and tired some of these rental properties are. They’ve got these bright pink bathrooms, these hideous kitchens, their absolutely disgusting carpet. By going in and simply painting the walls and replacing the carpet can significantly increase the rental income of your property. Because it creates such a better impression of cleanliness and liveability that people are willing to pay more for that. If you want to go to the next level, then I would suggest refreshing your kitchen or your bathroom. Now, this can be done inexpensively. You don’t need to fully fit out a new kitchen or fully fit out a new bathroom, this can be done with just a lick of paint. An example that I’d like to give is a property that I used to live in that we rented for $320 per week. They had what I call the winnebago bathroom. This is a bathroom, it didn’t even have tiles on the walls, it had this plasticky sort of synthetic material that had blue and white sort of tiger stripes on it. It looked like something that you would find in a motorhome in the bathroom. Absolutely hideous, had this also disgusting green bath as well and it had a bright blue kitchen – like a pastel blue sort of thing. So, overall, not very modern in terms of the look of that property. So, then what we did, as tenants, was we painted the kitchen white. So I painted over all the blue, just painted everything white. The same in the bathroom, we got some tile paint and some bathroom paint and painted the winnebago walls white and so then, they just looked like white walls and painted the ugly green tiles white as well. When we left that property just 11 months later, the rent went from $320 per week up to $350. So, significant increase in rent there. Probably $10 of that was probably from the market but then you’ve got, obviously, the extra money on top of that just by refreshing the kitchen and the bathroom; made a massive difference to the rental value of that home. So consider refreshing kitchen and bathroom if they’re looking tired. Because you’ll be amazed, I would not live in a house with a pink bathroom and there’ll be a lot of people out there who are in the same boat as me. So, by simply painting the pink bathroom with white tile paint or with white bathroom paint, you can just appeal to many more people. Which creates competition, which allows you to raise your rental prices. So definitely something to consider. Also, look at creating privacy or noise reduction in the area. People do value the privacy of a property. And also, if you live on a main road, by putting some screen in, creating noise reduction, again, you’re just appealing to more people who wouldn’t necessarily live on a main road. But when they go there and they realise that it has this noise reduction and it’s actually not that bad, then they’d be willing to rent that property. So you’ve got a wider market to go after there. The last example that I’ll give, I could go on forever about how to increase the rent of your property. 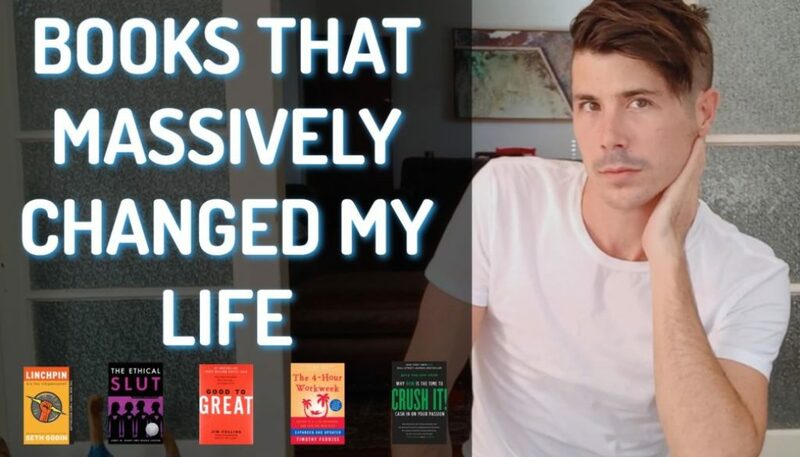 There’s so many little tweaks that you can do and different things that you can do. But the last advise that I would give to you is ask your tenants. You’ve got long-term tenants in there, they’re happy, they’re paying whatever it is that they’re paying. There’s probably something that they will be willing to increase the rent for if you put in your property. For example, I live in a 3-bedroom townhouse. It has an air conditioner downstairs and it has one in the master bedroom upstairs. However, upstairs is like a sauna in summer. All the heat rises, there’s just no insulation in this property so it gets extremely hot in summer. I would be willing to pay $10 or $20 more per week so I wouldn’t have to move but so that I could have air conditioning in a second bedroom or maybe up in the landing upstairs so that I could cool the entire upstairs or potentially to get the house insulated. And so, that’s something that I would definitely consider. Also, our back courtyard just has these little stones, little pavers and it’s just not very child-friendly. If they could come in, dig that up, turf it, then I’d probably willing to pay $10 more per week in order to have a backyard that had grass instead of pavers. Now, I’m not saying that you should add an extra air conditioner or convert pavers into grass. I’m saying that there’s a lot of tenants who would be willing to pay more to suit the property more to their needs. So, if you’ve got a good tenant in your property, go ahead and get the real estate agent to ask them, “Hey, the owner just wants to know, is there anything that you would like added to the property or improve to the property that you would be willing to pay extra for?” Seriously, if the landlords of my property came to me and said, “What would you be willing to pay extra for?” I would, hands down, say, “Look, I’d be willing to pay this much extra for an extra air conditioner upstairs. I’d also be willing to pay this much extra if we convert the backyard into a lawn.” And then you can do the sums and work out, “Is it worth me investing in that?” But that is an absolutely such an easy way to do it. So, to convert a negatively geared property into a positive cash flow property, you need to look at ways to reduce your expenses and then look at ways to increase the income that you’re generating from that property. Ideally, you can do both things. But maybe you can only do one. Maybe you can only reduce expenses, maybe you can only increase the income. But definitely something to look in to. Another thing to consider is to improve your tax situation; which I’ll quickly touch on. Basically, go ahead and get a depreciation schedule done on your property, if you haven’t already. Everything in your property, like the curtains, we’ve got some curtains here. Light fixtures, fittings, the property itself can be depreciated over time as things wear out. As the carpet wears out, eventually, it will need to be replaced and it will lose in value. And that loss in value, you can claim against your taxable income. Obviously, you need to speak to an accountant about this stuff, I can’t give taxation advise. But in many cases, you can claim it against your taxable income. So if you don’t have a depreciation schedule, you’re missing out on a lot of tax deductions that you could be making; which could either lead to a larger tax refund to push you into a positive cash flow situation. Or if you get to the point where you are positive cash flow, it can definitely help you to reduce the amount of tax that you have to pay. So getting a depreciation schedule done, definitely very important. And also, if you’re going to go ahead and do some renovations, like change the carpet and stuff like that, talk to your quantity surveyor. Because they can do something that’s called a “scrapping schedule” in the industry. Basically, it’s taking whatever value is left in what you’re destroying or pulling out of the property in order to renovate it, and they can claim that in that financial year to help with your tax and all of that sort of stuff. So, see a quantity surveyor, talk to your accountant as well about that sort of stuff. But that is another way to potentially reduce your tax expense or to increase the tax refund that you get from your property. So, good luck. I hope that you can use these tips to turn your negatively geared property into a positive cash flow property. 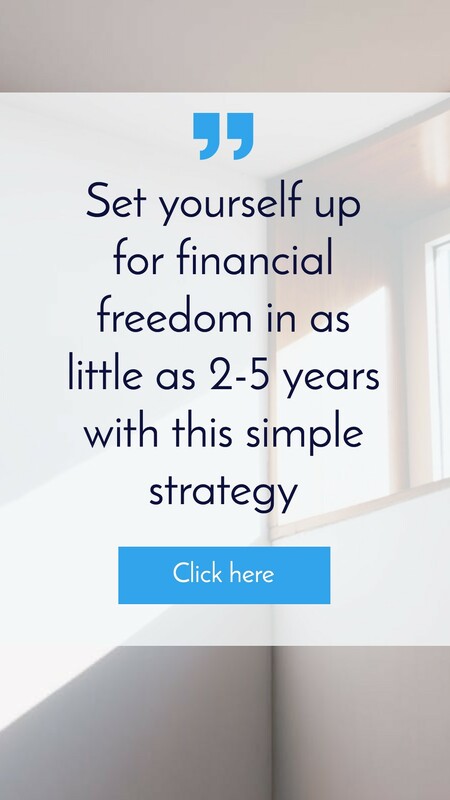 You can start generating passive income for yourself and can begin to move towards the life and the financial situation that you dream for yourself. I’m Ryan McLean. If you want to invest in more positive cash flow properties that are just positive cash flow from the outset, then I do have a service called OnProperty Listings. Where every single day, I go out and I find a high rental yield property and I share it with my members. I share properties from all over Australia. All different types of properties, all different areas, including capital cities like Sydney, Melbourne, Brisbane, Adelaide, etc. 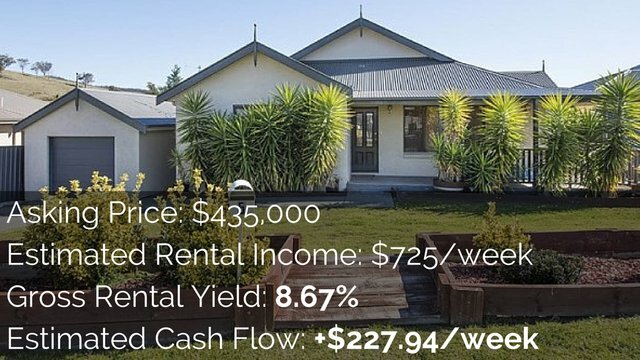 I find properties all over Australia, share them with people so they can begin to understand, “Okay, what are positive cash flow properties look like? Where are they? Where can I invest in positive cash flow properties?” all of this sort of stuff. 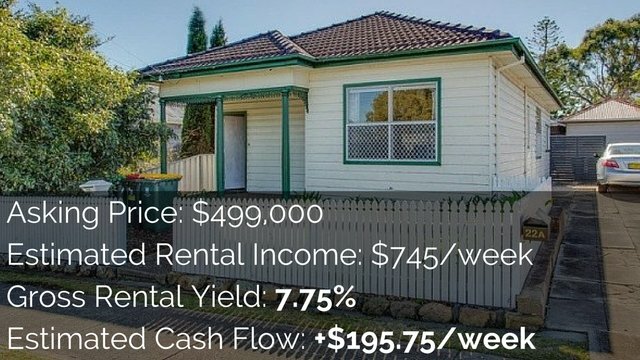 So if you want to see real positive cash flow properties and you want to become a part of OnProperty Listings, then go to onproperty.com.au/listings and you can check out all the details over there. Or if you’re not really sure but you want to see some positive cash flow properties, I do have a free report where I share 10 real positive cash flow properties with you. So if you want to see the addresses of those properties and what they look like, you can get them absolutely free. Go to onproperty.com.au/free in order to get access to that. Thank you, guys, so much for listening. I hope that this has been helpful. And ’til next time, stay positive.